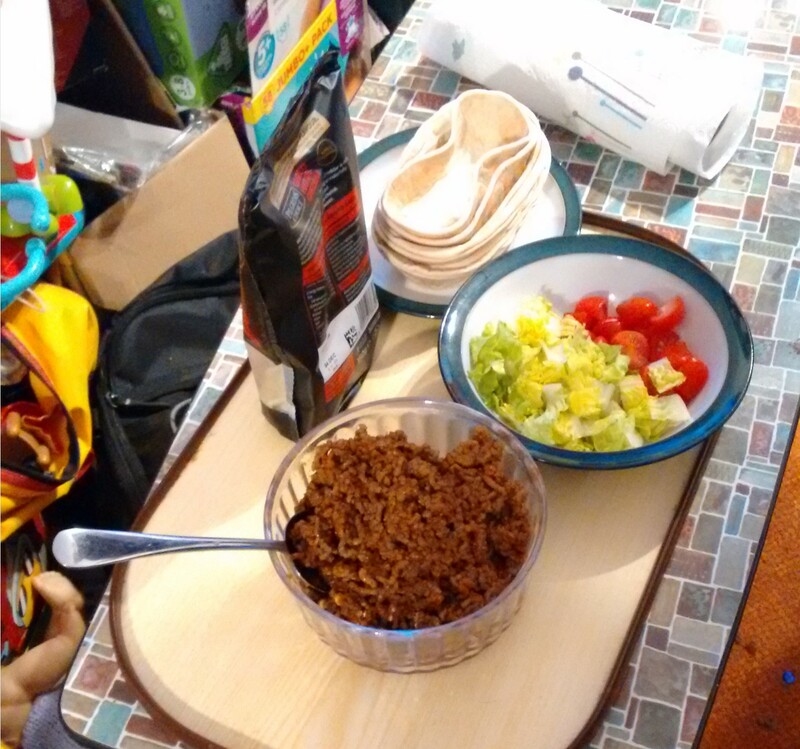 In the realm of quick dinners, Z decided that taco boats were the winner. And they were! We blasted through the meat as well… as one could expect with an extra person eating it, ha ha. I ended up doing most of the cooking for once, if only so Z could work the dishes at the same time. I was glad that I managed to like… actually be of help for once. It’s been a long day though, and not over. It started with grocery delivery being first thing in the morning due to the busy-ness of the day. Then our handyman came by to fix our stairs. He was a bit late, so I ended up asking my in-laws to pick Littler just in case. I could have in the end, but I’m glad that I didn’t have to. It was cold, wet, and my back was hurting. Being able to save up spoons for other things was a Good Thing™®. And of course, then was work. I didn’t get that much done all told, but I got some of the things that needed doing done. It would have been more, but my laptop was being weird and by the time I got it sorted, Z was back from work. He suspects it’s a problem with the most recent Windows 10 update, which seems to have hit a lot of people with issues. As long as it works properly tomorrow, I guess I won’t complain. For now, I need to get things crammed into bags to get ready for knitting.